More than 6 million children die every year even before they reach the age of 5 due to Preventable infections like diahrrea and pneumonia. neonatal period when children are most vulnerable. Handwashing with soap can prevent diseases like Diahhrea, Acute respiratory infections (ARI) and pneumonia by 45% and help reduce the child mortality rate. 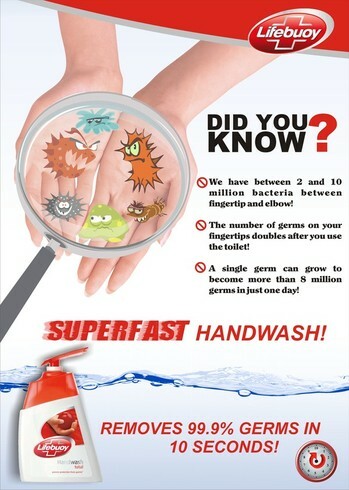 Well the facts are truly astonishing and give us a whole new perspective of hand washing…. Dr. Balsekar very well put it : “When millions die its a statistic, when one dies it’s a tragedy” at the press conference held on 29th Oct 2015 to promote the initiative started years back by Lifebouy. 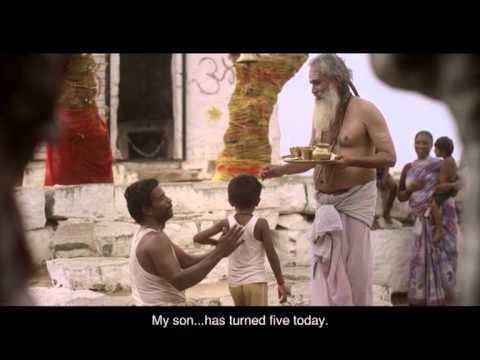 Its amazing to hear that the campaign that started from a small village of MadhyaPradesh known as Thesgaon, where a man named Gondappa walks miles away to a temple on his hands to thank God on his sons 5th birthday .. has made remarkable difference in improving child health and save life. This campaign has already touched the lives of 200 millions across the world and their next mission is to reach out to billions of people by 2020..
Help a child reach 5 unveils the year 2015 as the Neonatal and its programme focuses on the Neonatal care that is the first 28days of the new born child.. which is considered to be the most crucial period of a new born’s life. Under this programme .. Lifebuoy health soap has initiated a more rigorous practice of handwashing and basic hygiene in order to generate awareness among the people and promises to bring a human behavioural change with respect to handwashing and cleanliness in the interiors of Bihar. Not just that .. #Helpachildreach5 has also launched a film on Neonatal and great handwashing initiative to change the face of rural India. The short film with a lifesaving message is produced in order to generate awareness among pregnant women and mothers to help save their child by inculcating basic habits of handwashing with soap to save life of their unborn and newly born babies. It was a pleasure to be invited to the preview of a beautiful film Chamki that indeed touched my heart and soul when a future child thanks her mother for raising her and protecting her from all the dangers and infections that would have taken her life even before she would have turned five. involved in the nurturing of the child during the initial days of childbirth. Here’s the link for you all to take a look at “CHAMKI “that is already doing rounds in the MAMI film festival in Mumbai and stealing hearts.. 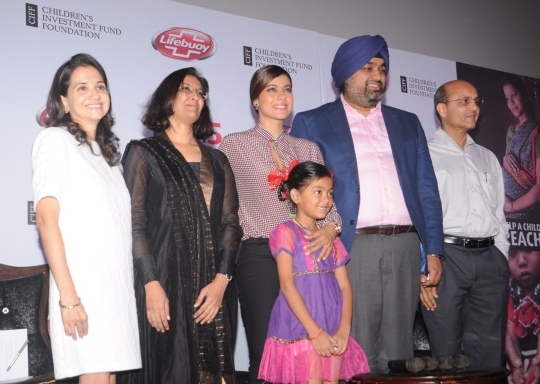 The event was attended by the beautiful Kajol who is also the handwashing ambassador for HACR5 and Samir Singh, Executive Director, Unilever, the renowned pediatrician Dr. Mahesh balsekar, Anagha Khot, Manager Children’s investment Funds Foundation, Anupama Chopra the famous film critic.… And not to forget the most adorable Chamki herself added to the excitement and made the event more memorable. The dignitaries at the event presented some shocking facts to the audience of 100 pregnant women, mothers and brought back our memories of childhood when we were repeatedly told by our mothers to wash hands before we eat . Anupama Chopra the most respected and trusted film critic shared her views on the film and said its more than just a film, it’s a mission and we must help it reach wider audience..
Handwashing as it sounds and appears to be the most negligent and smallest thing is surprisingly the single most Cost effective way to prevent many deadly deseases and ensure healthy living. Lifebuoy has made handwashing a global mission… Let’s do our bit and help save a life ..
1. Generate awareness about handwashing and share this programme with as many as possible so that it reaches out to every single household that can celebrate life. A wonderful post about an important life-saving program. I enjoyed my visit to your lovely blog! Following you here and on your personal FB page. So happy to meet you on MBC! Hi from Mom Blogs Connect. Handwashing is SO important everywhere. Nice to connect with you! Following on FB and Bloglovin'. Thanks for visiting and letting me know my Bloglovin' button was not working. I had no idea. Have a wonderful day! Thanks for visiting, I am glad you you enjoyed reading my blog.